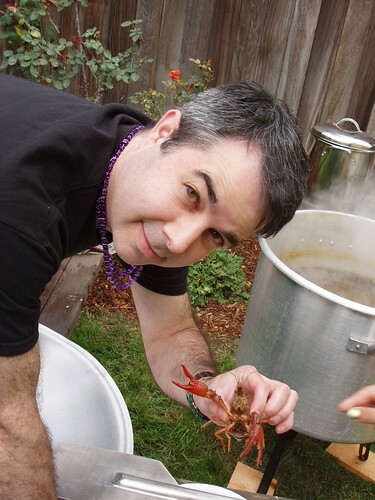 Martin took this shot of me at Len's annual crawfish invasion. If you remember, last year we revealed the truth about crawfish boils. Mister P. does not condone such acts of cruelty and is appalled at the lessons being taught to your daughters.